Clive has more than 30 years’ experience in the pharmaceutical and biotechnology industries with more than 20 years working in senior pharmaceutical industry positions. He has a first degree and a PhD in pharmacology. 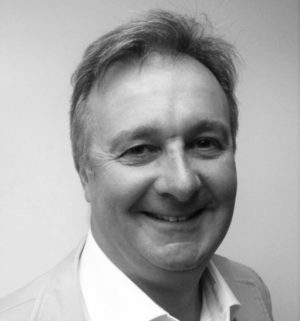 Clive’s expertise includes an in-depth understanding of all facets of drug discovery and development, a broad knowledge of the science and commercial landscape of a variety of therapeutic areas, and solid experience of the pharmaceutical business and finance community supporting the sector. Clive was CEO and co-founder of PowderMed Limited, which was sold to Pfizer Inc. in 2006 and CEO and co-founder of Convergence Pharmaceuticals Limited, which was sold to Biogen Inc. in 2015. Other previous roles include: Senior Vice President of research and development at PowderJect Pharmaceuticals plc sold to Chiron in 2003, Chairman of the UK BioIndustry Association, Chairman of Crescendo Biologicals Limited and Chairman of Auralis Limited (acquired by ViroPharma Inc). Following post-doctoral roles and a period at Ciba-Geigy AG (now Novartis AG), Clive joined GlaxoWellcome plc where he became UK Research Director. Clive is currently Executive Chairman of C4X Discovery plc, Chairman of Touchlight Genetics Limited, Centauri Therapeutics LTD and Calchan Ltd.